we loved this little restaurant. Friendly, genuine, brilliant food ..a proper little bistro. C'est magnifique! Amazing meal, amazing service! Thank you for a great night ???? 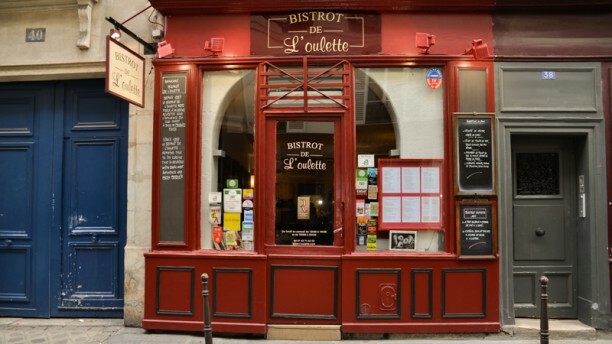 We chose Bistrot de l'Oulette for our last meal before leaving Paris. Everything - the service, the food, the wine - was excellent. Perfect for what we were looking for: classic French dining experience for the family. Got to experience a real French meal with great tourist-friendly service. Friendly service, fine wine, always an excellent meal, and reasonably priced. Highly recommended. My fourth visit and it won’t be my last. Excellent and innovative cuisine, fresh delectable ingredients and a warm welcoming atmosphere. Perfect price point for the area. Highly recommended. Very nice restaurant to enjoy traditional French cuisine. The monsieur speaks English too and explain each dishes, pleasant experience. Suitable for showing friends and family about French food. Not really traditional French food as it’s described. Very tiny portion and too expensive for these kind of dinner. This restaurant was disappointing. And did not come up to my expectations. It had little atmosphere and service was overly attentive. Food was ok but main course lacked flavour . The restaurant was chosen from a number of good reviews read from the internet ... we went for lunch and chose the menu degustation even though we were time limited. The owner , who was charming, ensured we were served rapidly and everything arrived piping hot and freshly cooked. The menu was varied though I’m not sure it would satisfy vegetarians. We started with food gras which was superb . The. apple with flaky pastry for desert was also excellent . Our main courses were good . For bistro food it more than met all our expectations and and we would certainly recommend L’Ourlette & will hopefully go there again. Amazing food. Amazing service. Quiet place but don’t let that deceive you it’s a great authentic French restaurant. Highly recommend beef stew dish. Best meal we have had in Paris on this trip..a proper restaurant i hope they prosper! Very good meal. Recommend the confit de canard.